SF Taxi Media: Announcement From SFMTA, Oracle Convention In October. Announcement From SFMTA, Oracle Convention In October. 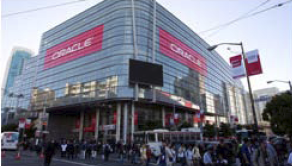 The 2011 Oracle Open World conference will be held on OCTOBER 1ST thru OCTOBER 6TH at the SF Moscone Center. There will be temporary taxi zones set up as well as a detour routing as a result of the Howard St closure. See attached for the date and times of the convention, as well as the scheduling details of the detour/street closure, along with the locations of the taxi zones.